The United States lacks a cohesive strategy to deter Russian aggression. Despite being militarily and economically inferior, Russia has undermined the United States and its allies by exploiting the “gray zone,” or the conceptual space between war and peace where nations compete to advance their national interests. In dealing with Russia, the United States must shift its strategic framework from a predominantly military-centric model to one that comprises a whole-of-government approach. The holistic approach must leverage a combination of diplomacy, information, military, and economic (DIME) measures. In this timely and prescient monograph, three active duty military officers and national security fellows from the Harvard Kennedy School look to address this contemporary and complex problem. 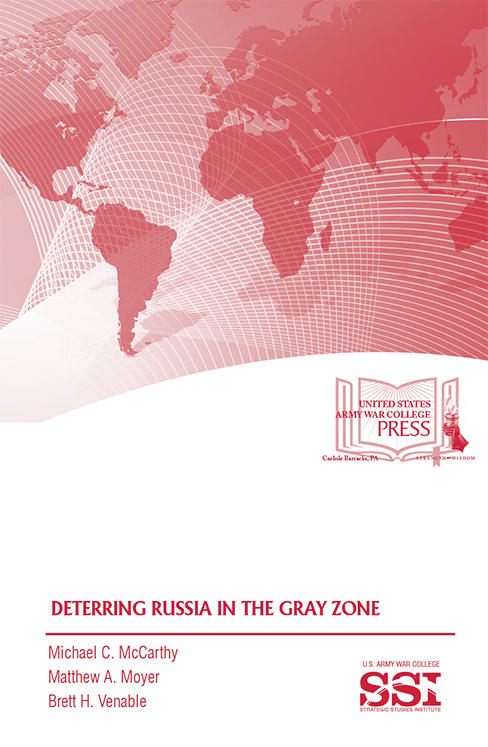 Through extensive research and consultation with some of the nation’s and academia’s foremost experts, the authors offer policymakers a menu of strategic options to deter Russia in the gray zone and protect vital U.S. national security interests.